vegetables, herbs, spices, etc. will be provided after your session. Feel free to brag about philos while enjoying your drink on our terrace. Cold vegetables and fruits that contain lots of dietary fiber,vitamin C, polyphenols etc. By ingesting after treatment, it will enhance fatigue recovery and immunity and support a more healthy body. Beauty skin care with vitamin C and anti-aging with polyphenols, etc. 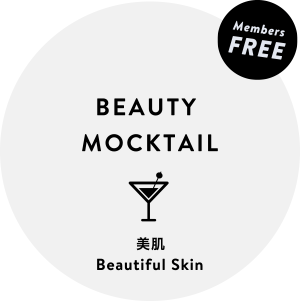 An essential drink for beauty. Blended with herbal tea, vegetables and fruits containing lots of fat burning and diuretic ingredients. Increase your fat burning rate, increase your detoxifying power, raise your metabolism and prepare your body to easily lose weight. Herb tea blended with ingredients containing lots of anthocyanins, vitamin C, etc. and includes edible flower that look gorgeous. By warming the body and adjusting the hormonal balance, this will help to draw out the beauty from inside the body. Ingredients indispensable for beautiful skin. “Mixology” is a coined term that adds ology (theory) to the word mix (mix) and means the pursuit of mixing. 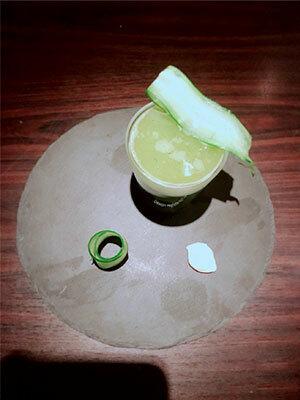 It is a method combining fresh materials such as fruits, vegetables, herbs and spices with spirits. We call the bartender that performs mixology a “mixologist” who has a series of methods to make cocktails, from the selection of ingredients to the mixing method to create new cocktails with a variety of approaches. 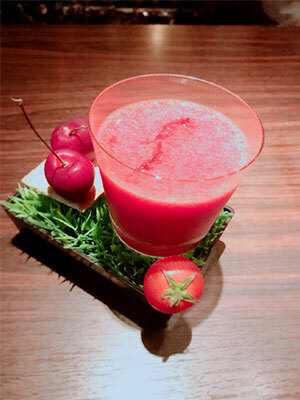 At philos, we have a mixologist, Mr. Shuji Akitani, who makes our mocktails. It is a slow drink rich in nutrients useful for fatigue recovery, diet and beautiful skin using vegetables and fruits, herbs and super food. In order to understand taste, I study “bio control” which is the academic discipline of knowing how living things are “controlled”. Taste controlled by salt, sweetness, sourness and bitterness which seems unconsciously delicious and provide a cocktail that captures the heart and time of customers. 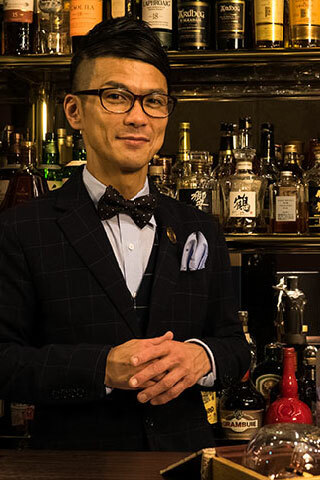 Working as a bartender in Sapporo and Ginza, I gained experience and opened “Bar Vie Lembranca” (Ginza) in 2015. 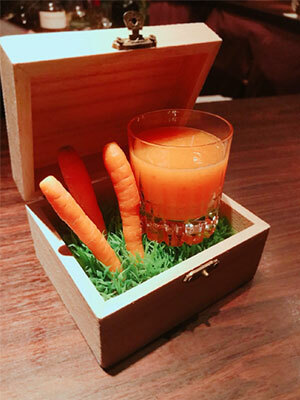 Champion of the first “Hennessy X.O Cocktail Competition 2016”.